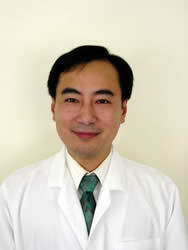 Dr. Hui Shao has practiced Chinese Acupuncture overall for 16 years, in Miami for over 13 years. Dr. Shao graduated in 1992 from the finest medical school in China, Shanghai University of Traditional Chinese Medicine, and combined the study Traditional Chinese Medicine (TCM) and today’s modern medicine. Dr. Shao worked as an acupuncturist and medical doctor for five years in Shanghai Jing An Hospital with Dr. Nian Zu Lu, one of the best acupuncturists and medical doctors in China. Bachelor of Science in Acupuncture and Medicine from Shanghai University of Traditional Chinese Medicine, Shanghai, China. Medical Doctor in acupuncture at Jing An Hospital, Shanghai, China. Florida State licensed acupuncture physician. Member of Florida Acupuncture Association. Instructor in Acupuncture for 2009 annual continuing education for Florida Acupuncture Association members, Orlando, FL and Ft. Lauderdale, FL. Instructor in Acupuncture in Atlantic Institute of Oriental Medicine, Ft. Lauderdale, FL. Instructor in Acupuncture in Miami Institute of Traditional Chinese Medicine, Miami, FL.